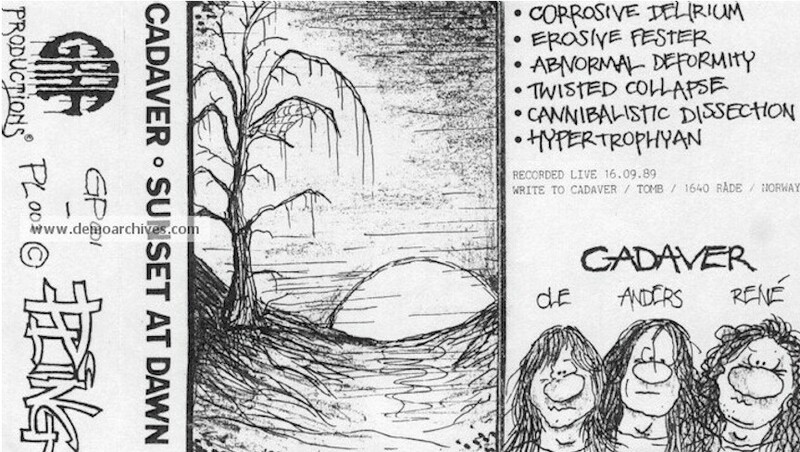 Cadaver was founded by Anders Odden and Ole Bjerkebakke in 1988. 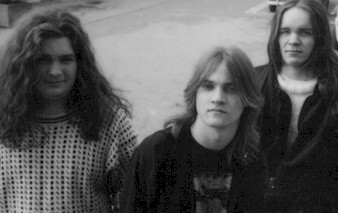 They signed a record deal with Earache Records in 1989, and released the first death metal record from Norway "Hallucinating Anxiety" in 1990. The record sold 10.000 copies, and is an underground classic which always is at high demand by collectors. The original line-up was intended to get back together at one point in time, but this plan changed when Anders Odden found the drum wizard Czral and old friend LJ Balvaz ready to join in 1999. Cadaver Inc. is born and frontman Apollyon known from Aura Noir, DHG etc. joined them in October 1999. They re-united with Earache Records and the album "Discipline" is released in Feb. 2001. Regular Xeroxed covers with regular tapes. First of two covers. Regular Xeroxed covers with regular tapes. Live recording.